Hearing the words Salvia or sage generally conjures images of purple, pink or red flowers in hot, full sun gardens. But not all Salvia species are created equal. There are a number of shade tolerant species, mostly originating from Japan. Salvia koyamae is one such plant. If you're unfamiliar with woodland sages and you saw this plant in the garden, you'd probably have no idea what it was. The leaves are fairly large, triangular, bright green, and hairy. The plant habit is 2-3' tall and 3' wide. It flowers in late summer and into fall, usually starting in September for me here in Wisconsin. In flower is the time it looks most like a Salvia; flowers are typical shape for the genus, somewhat large (for a sage), and pale yellow. Being a woodland denizen, this plant likes rich soil with lots of organic matter. Consistent moisture is best. Morning to late evening sun is ideal, shade is a must during the hottest part of the day. I find it to be fast growing in such conditions, reaching mature size in 3-4 years. I use Salvia koyamae as a background plant and filler. 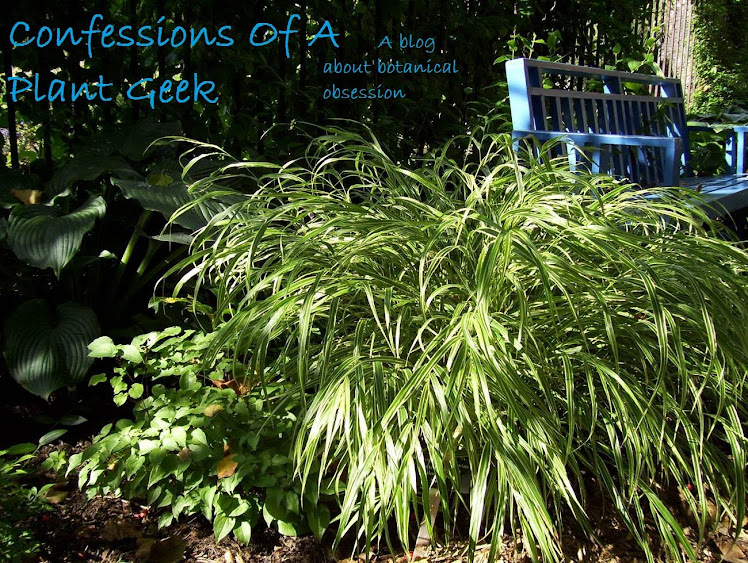 It looks great with yellow or blue hostas, japanese painted fern, pretty much any Heuchera, and any fine textured sedges or grasses like Carex muskingumensis 'Oehme'. Salvia koyamae is one of those cool plants that isn't terribly hard to find, but still isn't common. It deserves much wider use in gardens as it's easy to grow and offers flowers at a time when woodland gardens are in need of some flower color.